The company PARTTEAM & OEMKIOSKS was once again honored by the Portuguese Institute for Support to Small and Medium Enterprises and Innovation (IAPMEI) as SME Leader. This status, renewed annually and give the companies greater visibility to the market and is an achievement that recognizes the high performance of companies. We see, once again, the financial strength of PARTTEAM & OEMKIOSKS and the high level of management performance. 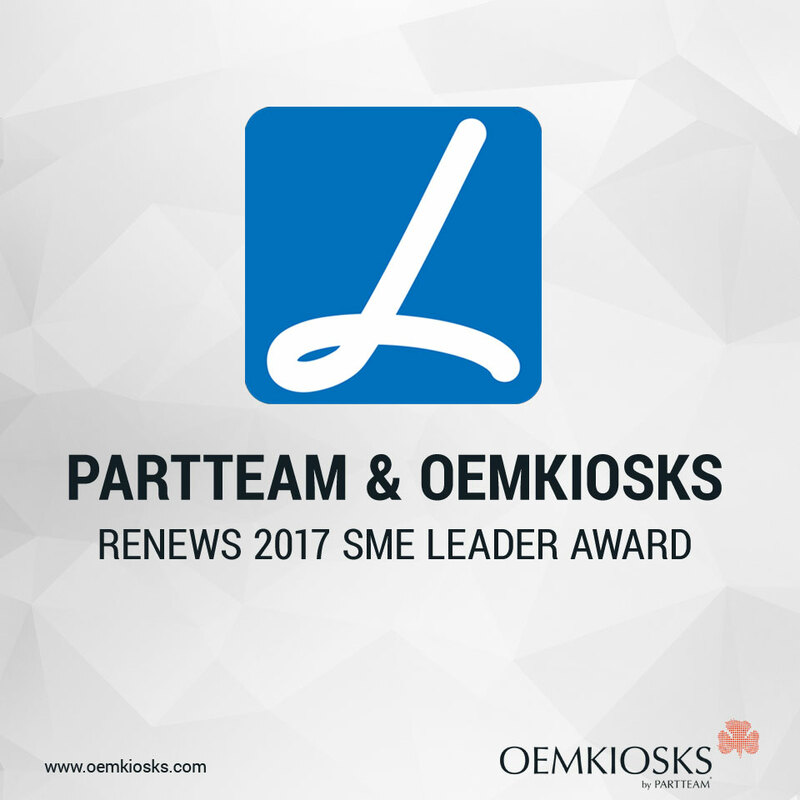 "To be recognized again with this status is a pride and a great incentive to continue with our business strategy and dynamics"
says Miguel Soares, CEO and founder of PARTTEAM & OEMKIOSKS. PARTTEAM & OEMKIOSKS, in a year in which it celebrates its 17 years of existence, once again sees its work recognized. None of this would be possible without all the PARTTEAM & OEMKIOSKS team, partners and customers that contribute to the development of the company every day. Once again we are all CONGRATULATIONS! Thank you !